Thank you for attending the event! Center for Volunteer & Nonprofit Leadership honored Napa nonprofits and volunteers on Thursday, March 14, 2019. All nominees were recognized and awards were presented to the 2018 Heart of Napa recipients. 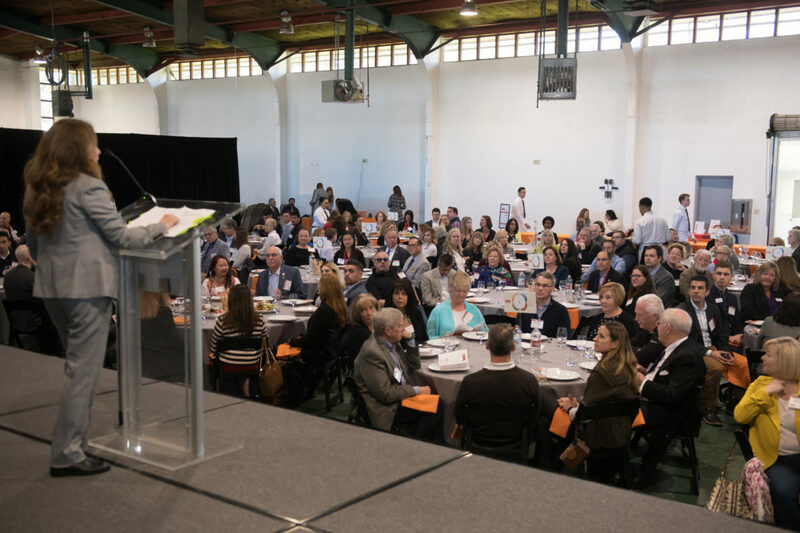 This year, 300 members of the community packed Chardonay Hall at the Napa Valley Expo to honor nonprofits, volunteers, leaders, and businesses who give back. 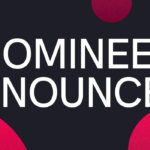 Whether you nominated, were a nominee, or attended to support a friend or colleague, thank you for taking the time to recognize the people and organizations who are moving the needle in our communities. 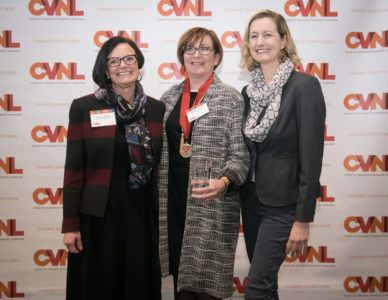 Scroll down to read more about the winners and browse photos from the celebration here (all photos provided by Stuart Lirette Photography). The official press release can be viewed here. Community Resources for Children believes that all children deserve to enter Kindergarten ready to learn. CRC promotes quality early learning in the home, in preschool and in child care settings. Last year they served 4,500 individuals, 67% of them from low to moderate-income households. CRC offers a variety of programs and services including: quality engagement opportunities for parents to encourage their children to maximize their potential; professional development opportunities for child care providers; and support for parents as they search for child care that meets their needs. The school readiness gap – 30% of children who enrolled in Kindergarten in the Napa Valley School District had no formal preschool or quality early learning experience. As a result, those children enter Kindergarten at a disadvantage and rarely catch up to their peers. CRC’s programs provide access to a Toy Library and Early Learning Center that strengthens families and caregivers with quality educational materials as well as activities that model parent-child engagement that support healthy brain development and growth. Developmental screening – developmental screenings can help detect potential developmental, behavioral or social delays. Routine screenings guide referrals to the services children need early on and help reduce long-term health and special education costs. CRC offers screenings free of charge to all children under five. Quality childcare slots – There are currently licensed care slots for only 1 in 4 children with a parent in the workforce. CRC’s programs for providers help increase the number of child care slots available by coaching new providers and working with existing childcare providers to improve capacity. Thanks to funding, CRC was able to expand their reach to informal caregivers and thus, to more children from disadvantaged backgrounds. This project expanded their bi-cultural/bilingual outreach efforts. 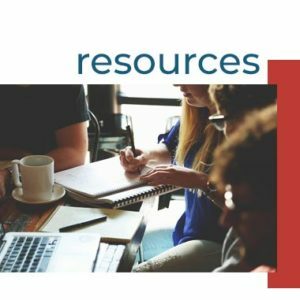 With a robust board and volunteer programs, CRC continues to make strategic investments that yield savings, including reserves to cover six months of operating expenses, all while empowering families and childcare providers to help all children succeed. Congratulations Community Resources for Children! LC Naylor has volunteered for the past six years for a total of 3,321 hours. In 2018, he volunteered 433 hours on the construction of a new home on Saratoga Drive for a young low-income Napa family. On that project, LC was a site supervisor, responsible for leading other experienced and inexperienced construction volunteers as they helped build the house. He also performed critical repairs on a Napa home belonging to an elderly woman, so she can age in place in the house she shares with her daughter. 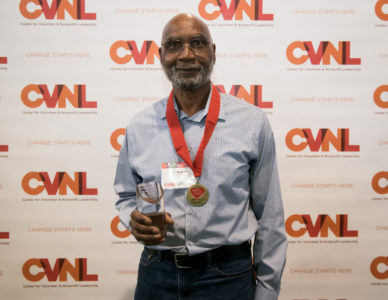 In April, LC volunteered as a site lead on a project at the Yountville Veterans Home of California, when he and other Habitat volunteers led a group of 250 volunteers as they remodeled nine kitchens, built a batting cage at the baseball diamond, improved the “Brain Food Garden,” (where residents of the veterans home can grow their own vegetables), and built a coop for the chickens that belong to the veterans. On those three projects alone, LC’s efforts had a direct impact on the living conditions for almost 830 Napa residents. Ane served as President of the Board from 2016 to 2018. As a long-term resident and educator in Napa, Ane has been a strong advocate for expanding the reach in the community. 1. 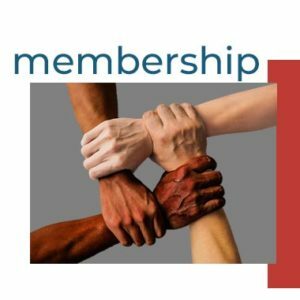 Launching a three-week, full-scholarship String Quartet Apprenticeship program for an emerging young ensemble, ensuring that they used the quartet as an opportunity to reach and provide access to members of the community who may not otherwise attend classical chamber music concerts, including retirement communities, those in assisted living, and Boys and Girls Clubs. In the first year, over 17 outreach events were hosted and attended by nearly 800. Congratulations Ane, for maintaining the enthusiasm and family feeling of Music in the Vineyards, and for your service to the arts community. For the last decade, under Kathleen’s leadership, Napa Valley Community Housing has provided nearly 6,000 affordable homes. Kathleen developed Arroyo Grande Villas, providing 25 affordable homes in Yountville made possible by the Bardessono family who sold the property next to their hotel to provide workforce housing – a wonderful example of working together against the not in my backyard objections. A licensed real estate broker, Kathleen directed the affordable housing development, Oak Creek Terrace, now home to 41 Napa families and is in development with the 10-acre Napa Garden Court that will create 200 new units of affordable housing in the City of Napa. NVCN has seen an increase of 400% in onsite classes, from 200 to 1025. Conecting with 13,045 residents these classes include U.S Citizenship, migrant education and assistance, nutrition and healthy cooking, financial literacy, as well as mental and physical health presentations. The Home Sharing program that matches home seekers with home providers has found homes for 44 home seekers. During the Recession of 2008 the state dissolved local redevelopment agencies, a source of support to the agency. Kathleen created solutions and has sustained a fiscal track record growing the annual revenue from $1.3 million in 2007 to $2.8 million in 2017. The real estate portfolio has grown from 16 properties with 550 homes to 20 properties with 623 homes with nine receiving the national Community of Quality recognition. Any new development project faces physical hurdles; however affordable housing faces another challenge: community acceptance. While citizens understand the critical need for affordable housing, they would generally prefer it wasn’t in their neighborhood. Objections pertaining to traffic, parking and a perceived decrease in property value are commonplace. By making numerous community presentations to neighborhoods, City Councils, Planing Commissions and Design Review Boards, Kathleen overcomes neighbor reluctance and objections. Kathleen focuses on stability and growth. 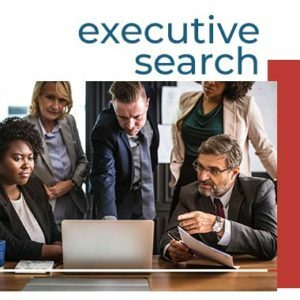 She has developed a Leadership Team with expertise in Planing, Construction, Finance, Property Management, Operations, Compliance, Resident Services and Administration. Women of color – Latina and African American – now comprise over half the Leadership Team. Kathleen, congratulations and thank you for all of your efforts! Since 1990, the Pride Family has operated the family owned St. Helena winery with a staff of 45. 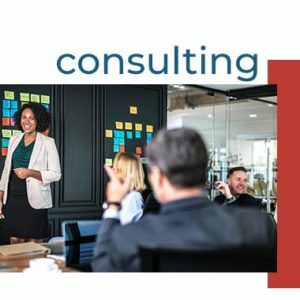 Everyone on the team is tasked with making sure the family’s values of generosity and compassion are upheld through all of their business dealings. 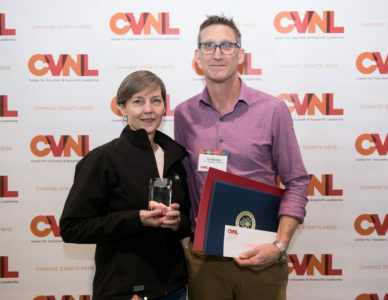 Pride Mountain Vineyards was nominated for the impact they’ve made on Calistoga Affordable Housing and in particular the elderly at Rancho de Calistoga Mobile Home Park. For four consecutive years, Pride has brought 25 of its employees, tools in hand, to complete a range of projects including rebuilding decks and stairs, replacing toilets, door and window weatherizing, as well as the repair of plumbing and electrical to the facilities. CAH isn’t the only nonprofit benefiting from Pride’s philanthropic work. Each year the employees spend at least two full workdays serving the community. In 2018 Pride sent 26 employees to Hope Crisis Response Network to build homes for fire victims in Lake County. 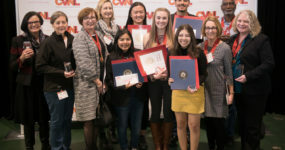 Other projects included making care packages for military members deployed in Afghanistan, hosting a food drive, and participating in the Spring Mountain Holiday Open House. 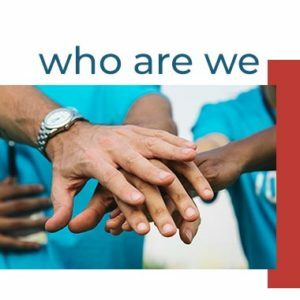 In addition to their hands-on volunteer efforts, they focus their in-kind charitable giving to nonprofits that benefit families and children in need. On a national level they support fundraising efforts of the V Foundation, Emeril Lagasse Foundation and the National Ability Center. Congratulations Steve Pride, and the entire staff of Pride Family Vineyards. Vanessa Chen, a sophomore at Vintage High School has demonstrated her commitment as an outstanding youth-volunteer by spending the last 5 years, since 6th grade, dedicating an average of 4 hours per month at the Napa Library. Vanessa made a positive impact on their Teen Advisory Board by providing feedback on teen programs and suggestions for future improvement. 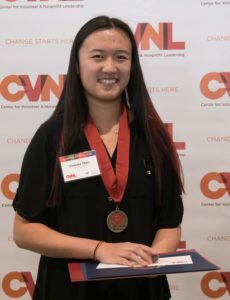 She founded and leads the Teen Chess Club and teaches two environmental awareness programs, Reuse, Reduce, and Recycle and Ocean Conservation with the help of peers from the Napa Youth Stewardship Council. Her additional volunteer time is spent assisting the staff Librarian with Lego robotics to help children build and program robots built from legos, movie nights, assisting children with crafts, holiday programs, and the How-To Festival. Congratulations Vanessa and thank you for your commitment to the Napa Library and greater community. Nominated by her supervisors at the Boys and Girls Clubs of Napa Valley, Jenifer Lopez, a senior at Napa High is an active member and volunteer for the organization’s Teen Center. She is the president of Keystone, their volunteer service group. Jenifer’s biggest impact is through her mentoring of the elementary and middle school students who attend the club. She helps with homework, guiding recreational activities and participating in leadership programs. Growing up, Jenifer faced a language barrier making it difficult to read. She persevered with the help of a mentor at the Club and now she is doing the same for the next generation. She serves as a role model to all, but specifically inspiring Latina girls who see someone like themselves be successful. In addition to Keystone, Jenifer is Vice President of Napa High’s Key Club, volunteering at numerous community engagement events, a volunteer at the Salvation Army, planting gardens, building playgrounds, and putting together care packages for troops at Operation with Love from Home, and a member of AVID tutoring freshman. Jenifer has learned much about herself and hopes that all youth and community members alike will take the time to get involved, share their stories and listen to others. 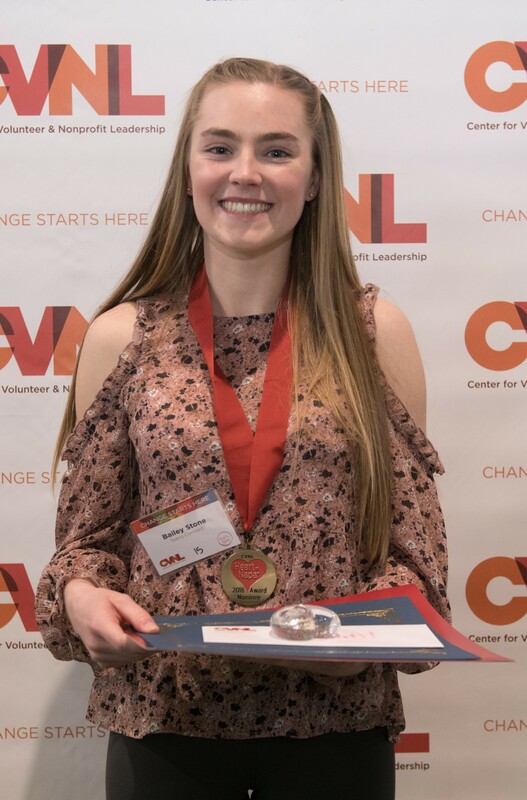 Bailey Stone, a senior at Vintage High School is president of the Teen Council for Teens Conect—an organization that engages and empowers teens through programs centered around mental health and wellness, peer support and volunteer projects. Bailey founded Empowered Teens – a club that encourages students to be kinder and works to break the stigma around mental health. 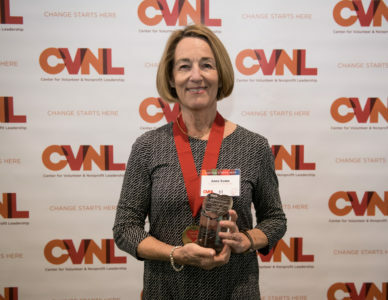 She partners with Bring Change 2 Mind, a San Francisco organization founded by Glen Close, with the goal of uniting high schoolers across the country to end discrimination surrounding mental illness. Bailey’s projects at school include making “finals bags” which include encouraging notes and snacks to help ease the stress during finals week; writing positive messages on the mirrors in the girls bathrooms, releasing biodegradable “worry balloons” with the goal of letting go of anxiety, and handing out cards with emergency crisis numbers. Bailey is the Vice President of The Thirst Project – a school-based club that raises money to build wells in Africa, and is part of Teens for Change, a community service club that focuses on environmental sustainability. She volunteers in the community whenever possible – serving meals to the homeless, making notecards to raise money for charities, volunteering with fire relief efforts, helping children shop for school supplies and holiday gifts for their families, and participating in environmental cleanups around the Valley. This spring, Bailey will travel on a service trip to Haiti to work at schools, orphanages and in communities. This past fall, Bailey lost a dear friend to gun violence, which added to her resolve to politically engage her friends to end gun violence, pre-register to vote, and get involved in making our world a safer place. Bailey believes in the power to create change and to fight for what you believe in. 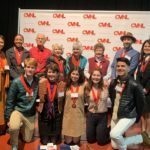 Daisy Zamora, a junior at Napa High has dedicated three hours per week over the last year volunteering on the Youth Leadership Team of LGBTQ Conection. This comprehensive, all-ages, LGBTQ program is committed to developing a vibrant, diverse and inclusive community while increasing the wellbeing for lesbian, gay, bisexual, transgender, queer and questioning people across Napa County and the San Francisco Bay area. Building on her own personal struggles, Daisy has turned to advocating for others and played a key role in organizing a number of “celebration of self and authenticity” events including the 2018 Youth Pride Dance. 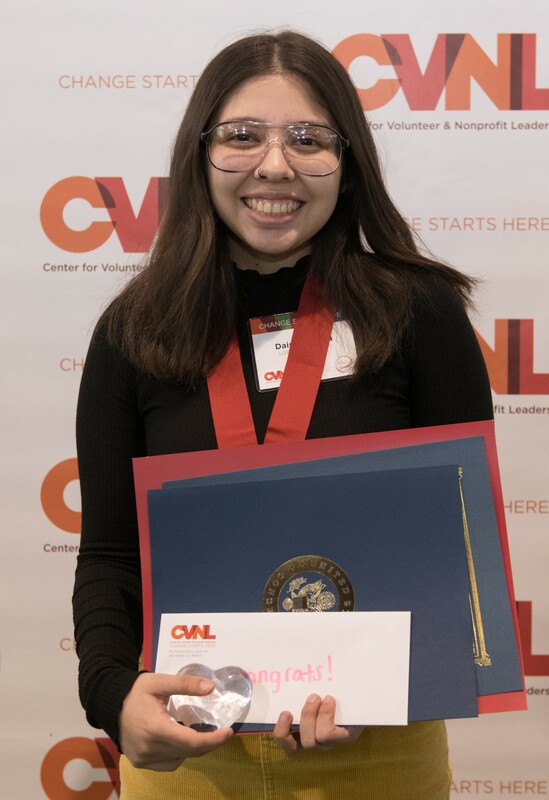 Daisy’s authentic vulnerability and compassion makes her an excellent role model for other youth looking to not shy away from healthy conflict and address matters that make a greater impact in our community. In addition to Daisy’s support of LGBTQ Conection, she is an active member in the Gay Straight Alliance and is the founding member of Students vs. Stigma addressing the stigma around mental health and how to create supportive networks for students. Daisy has shared personal stories about what it was like for her growing up in Napa as a bisexual Latina with fears of being rejected. Now, she is someone who wears her personal story proudly. We are proud of Daisy’s bravery and congratulate her on this award. 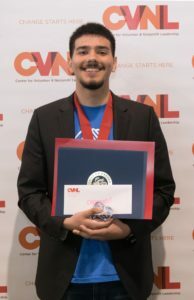 Through his time at the Boys and Girls Clubs of Napa Valley, Joel Navarro, a senior at Napa High has gone from being the quiet young boy who was afraid to speak up to a young man who is now the Vice President of Keystone, a weekly participant of the Teen Mentor program, and someone who is raising awareness for voter education. Joel believes that our collective voices should be used to change the world and through volunteering we can use it to make the biggest changes. Joel has volunteered for many causes in the community, such as the Crush Challenge bike race for cancer, the annual Halloween carnival, and putting together care packages for troops at Operation with Love From Home. He also participates in the Teen Mentor program where he provides guidance and tutoring for middle school students and with the Vote Napa Valley youth committee where he leads a committee of teen leaders to bring awareness to voter rights and education. Joel has given speeches on the importance of voting with the message of Our Future, Our Vote and encourages others to ask questions of those in office on the pressing issues facing teens today. The Achievement in Nonprofit Excellence Award and $5,000 will be presented to an organization that has demonstrated exemplary service to their constituents. 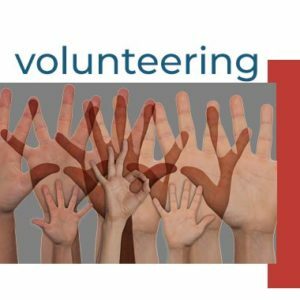 The Volunteer of the Year Award and $5,000 for the recipient’s nonprofit will be presented to an individual (other than a board member) who has provided exemplary volunteer service to a Napa nonprofit organization. 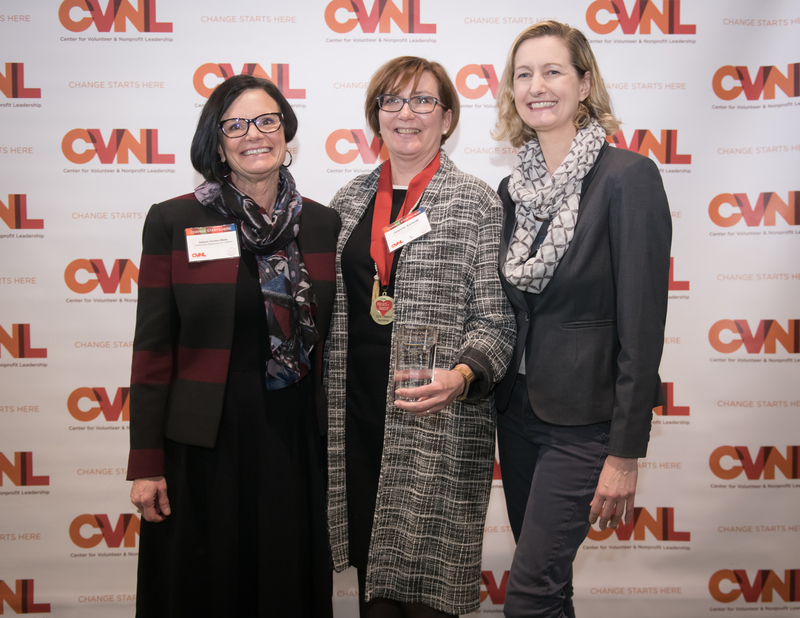 The Excellence in Board Leadership Award and $2,500 for the recipient’s nonprofit will be presented to an exceptional volunteer member of a Napa nonprofit board of directors. 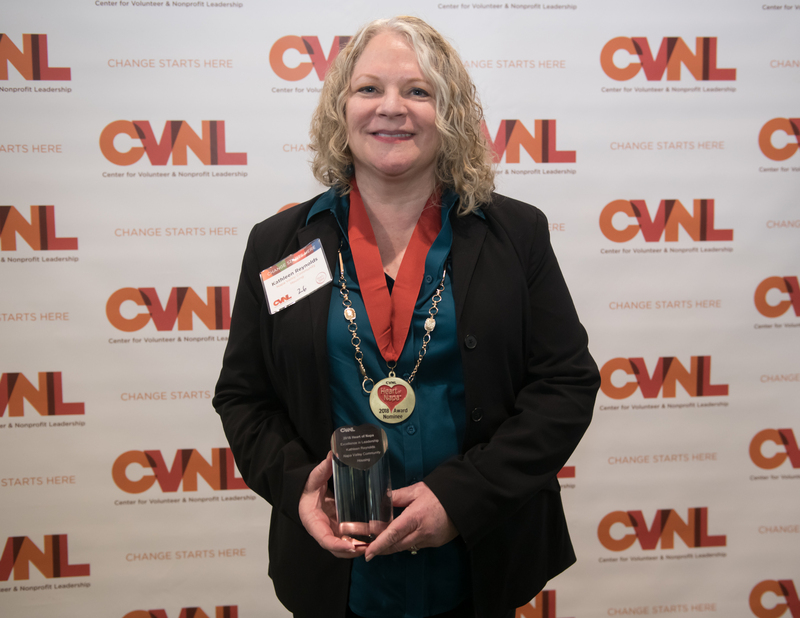 The Excellence in Leadership Award and $5,000 for the recipient’s nonprofit will be presented to an executive director who has demonstrated excellence in leadership and whose vision has inspired meaningful and lasting change benefiting the organization and community. 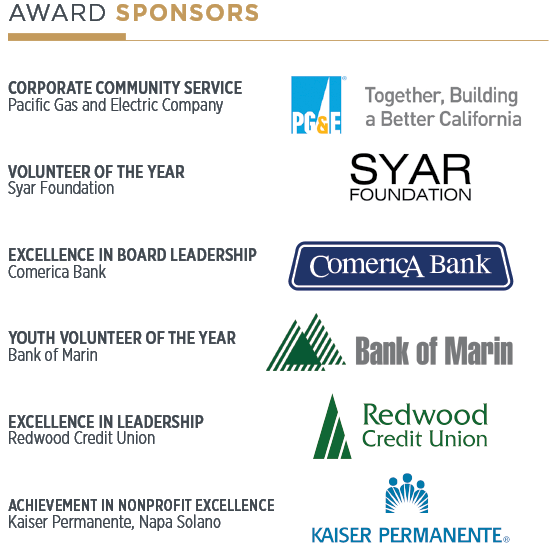 The Corporate Community Service Award will be presented to a business that has fostered and encouraged volunteerism and philanthropy among its employees. 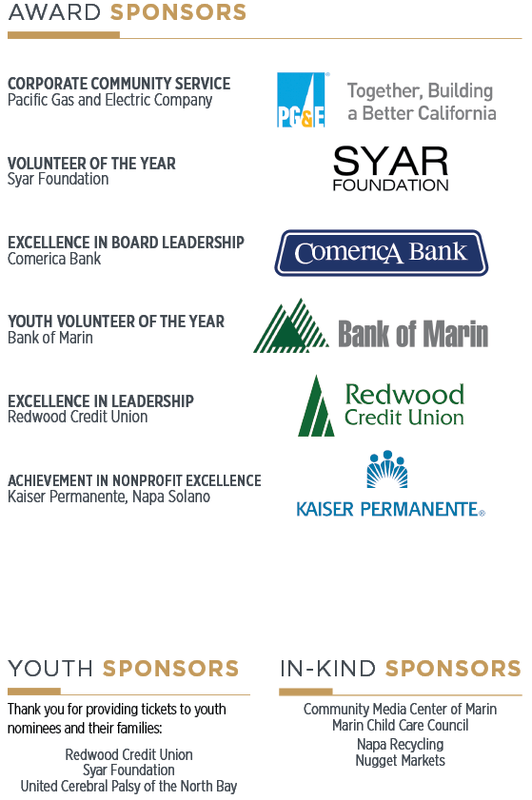 Up to five Youth Volunteer of the Year Awards of $1,000 each will be presented to full-time middle or high school students serving a Napa nonprofit in the community, education or faith environment.